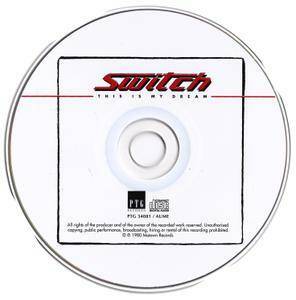 "This Is My Dream" is the fourth album by R&B group Switch. It was released in 1980. 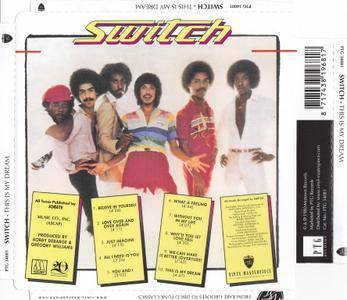 This is also the only album during their tenure with Motown not to feature input from Jermaine Jackson; they produced this album themselves. Following a slump with the subpar performance of their third album, "Reaching for Tomorrow", released earlier that year, the group rebounded with this effort. It included the top-ten hit "Love Over And Over Again", which Bobby DeBarge wrote with his sister and future DeBarge member Bunny DeBarge. Bobby DeBarge (keyboards), Greg Williams (keyboards) and Jody Sims (drums) collaborated in the Ohio-based funk band White Heat in the early 70s. 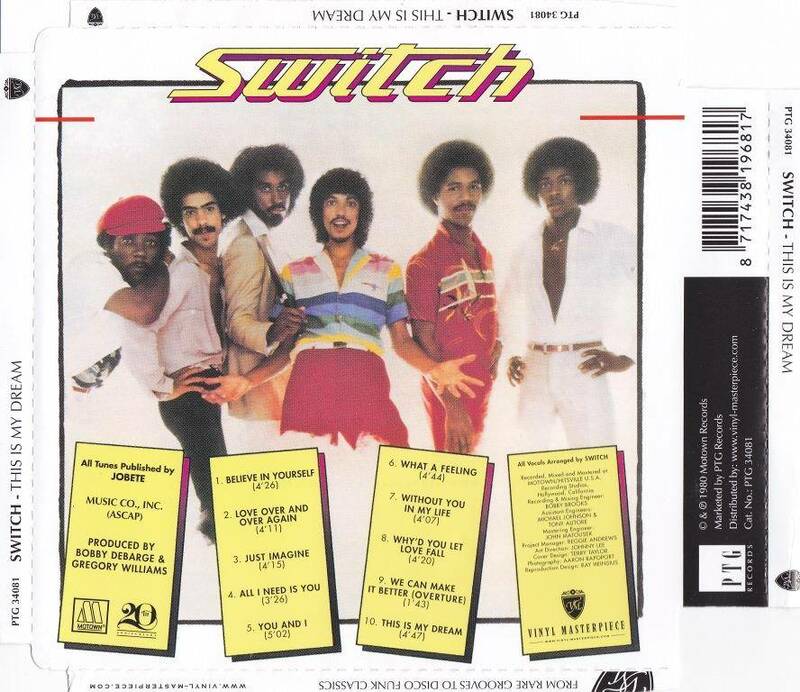 After recording an album in 1975 produced by Barry White, the trio left the band, enlisting Philip Ingram (vocals),Bobby and Tommy DeBarge (bass) and Eddie Fluellen (guitar) to form First Class. Jermaine Jackson discovered the band and helped them to secure a contract with Motown Records and produced their first album titled Switch, for which they were renamed to Switch. 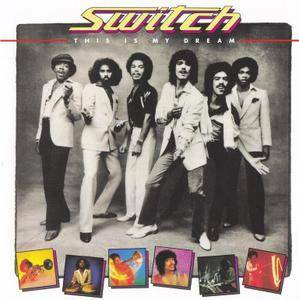 The band's dance-orientated brand of soul proved to be popular in clubs and discos, and they enjoyed three major hits in the late 70s, 'There'll Never Be' (Top 10 R&B charts), 'I Call Your Name' and 'Love Over And Over Again'. They were unable to break into the mainstream pop market however, and decreasing returns for their efforts led them to quit Motown in 1982. Philip Ingram left and went on his own, followed by Bobby and Tommy DeBarge to join other members of their family group DeBarge. Percussionist/vocalist Renard Gallo and Gonzales Ozen and keyboardist Attala Zane Giles were their replacements. 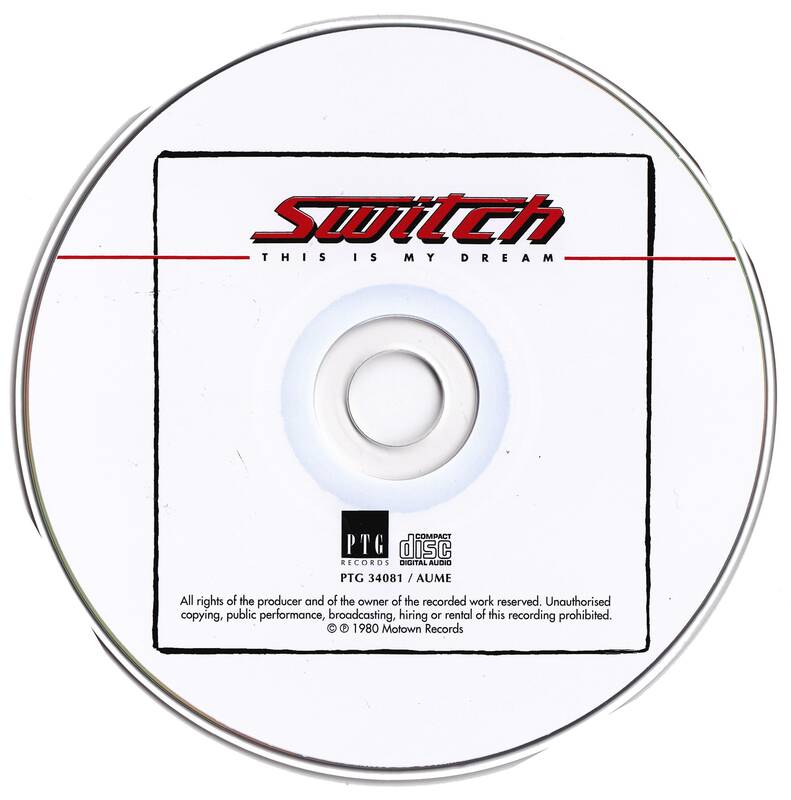 Meanwhile, Switch moved to the Total Experience label cutting the album 'Am I still your boyfriend' and scored a belated UK hit with 'Keeping Secrets' in 1984. © & ℗ 1980 Motown Records.